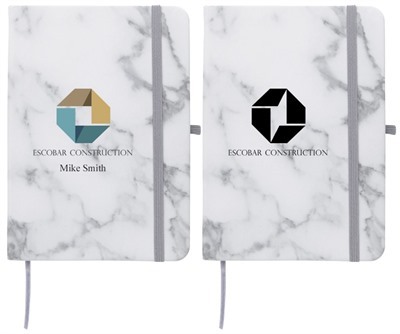 Personalised Marbled Notebooks are ideal items to create lasting impression for your brand. They can be decorated on the front with your name, logo, or slogan, and you can use them as a giveaway at any corporate events. The unique marble design will sure be a hit among students.